Jenni has been involved in music and singing since childhood, and first joined Hobart Harmony in 1996. At the beginning of 1997 she took over as musical director, taking the chorus through prospective status with Sweet Adelines International and on to chartering in 2001. 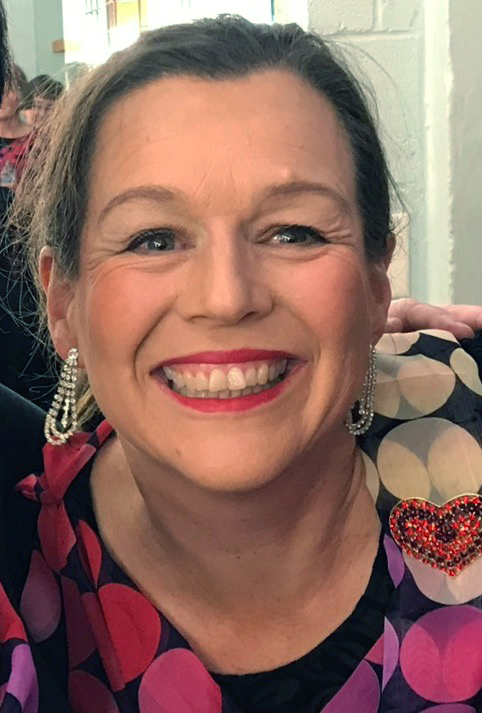 She went on to direct the chorus in performances, shows and competition for a number of years, sharing the role briefly with Sandra Rosan, another Hobart Harmony member, for a couple of years after the birth of baby number three. After a short break from directing between 2010 and 2013 due to increased work and study commitments, Jenni returned to the position with renewed energy and enthusiasm, and we have seen the chorus grow musically and in numbers since that time. Having completed the Sweet Adelines Directors Certification Programme some years ago, it was a buzz for Jenni to receive the “Harmony 500” recognition in 2017. Next stop: Master Director! In her other life, Jenni is a wife and mum of three adult children, and works as a clinical nurse educator in the field of critical care. With a life long interest in theatre and dancing, Jenni also takes an active role in the development of choreography and showmanship skills for the chorus, and is enjoying exploring the world of ballroom dancing in her spare time.